Buying vintage games on eBay is a tricky business these days, as collectors have pushed the value of many sought-after titles to eye-watering levels. You'll find a robust market for factory-sealed releases too, some of which can sell for many times more than their original retail price. Interestingly, publisher Natsume has its own eBay store and is selling off factory-sealed games alongside other merchandise. Among the Hometown Story collectables and plush toys, you'll discover plenty of games - some more desirable than others. 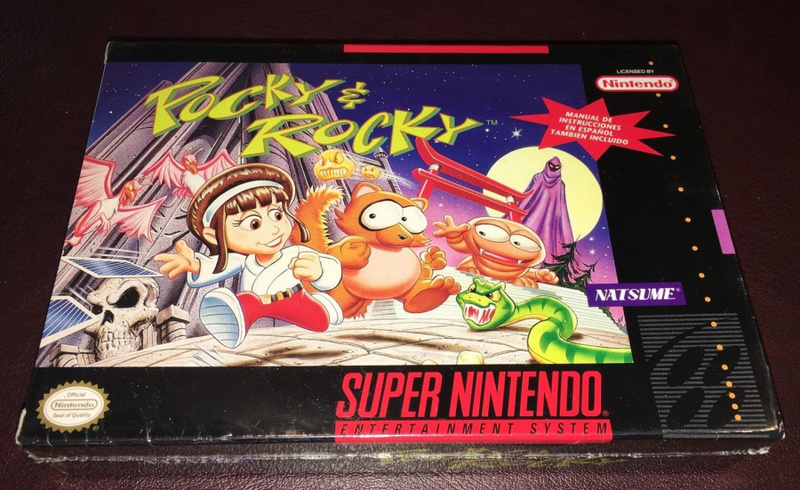 We can't imagine Squishy Tank on the DS will get your pulse racing, but what about a sealed copy of Pocky & Rocky on the SNES? A copy has already sold for $1,691.66 and there's another for sale at the moment which currently stands at $133. We wanted to offer a variety of bundles, and the quantities of games and extra goodies were small enough that it didn't make sense to list them in our traditional store. eBay was the logical choice when it came to reaching as many potential customers as possible, and the store has been so successful that it now includes pretty much anything that is lying around the Natsume office and currently not spoken for. We've kept copies around of games for a variety of reasons. Review copies before digital distribution was a thing, warranty needs, etc. Over time, these copies slowly added up until we had a fairly extensive collection of classic titles, just not in large numbers for any singular game. Will you be placing a bid on Pocky & Rocky, or has Lufia II caught your eye? Let us know by posting a comment. THat's a good idea on their part. Might keep their doors open another 6 months. I'd love to have Lufia 2, but don't have that kind of money for 1 game. Some of the 3DS games interest me but the shipping costs to the UK are the killer. It'd be a nice thing to own that Lufia II but beyond what I'm willing to play plus being sealed, truly one for collectors rather than to play. At least I got the DS game. 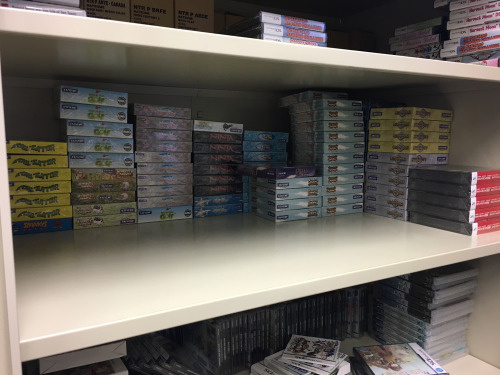 My old game company had a few hundred games on shelves- likely over 1,000. Some were ones we worked on, others were our competitor- if you want to make an open world RPG, its important every member of your team is familiar with the strengths and weaknesses of all the others already out there. When we went out of business, I debated just grabbing a few dozen of the rarer titles, but was afraid some IRS/bank we defaulted to/whatever would come looking for them. Turns out all of the games were just sold as bulk at an auction at a ridiculously low price. Guess they are in need of some quick cash. I'd bid on both pocky and rocky and lufia 2 but being they're auctions by the deadline they'll be up at the $1600 range so there's no point. Oh wow. Lufia II is possibly one of my favourite RPGs ever. It was a pure joy to play. I can't believe they still have sealed copies laying around their office. Shipping too expensive for my taste to consider any of the DS games up for sale. I wonder if they'd have copies of Wild Guns too. I'm sorry - Squishy Tank is a superb game! It's super cool that they're selling a sealed copy of Lufia 2 (one of my favorite games of all time... I've never beaten it). However, I could never justify that kind of price for the game, especially when I already have a complete copy in its box. Hey Natsume would you please post POCKY & Rocky 1&2 on the Wii u already for Crying out loud!! Instead of that Medabots crap!!! Collectors only... I have pocky and rocky and it's far better to play than on a shelf as a bit of eye candy. Oh my God... I'd love to have a new copy of Lufia 2, but I don't have the cash to compete with the pricing that the fans of such an awesome RPG are willing to pay. I hope whoever gets them will take good care of them! These copies were probably amongst those that could be sent out to Nintendo Power and other such publications! Awwww...they come with plushies, how cool! I bought a copy of Hometown Story since it came with the plushie for just $16 total. That's a steal, I mean that's less than half the average 3DS game. But WOW, sealed copies of Lufia II and Pocky and Rocky? If only they had 1000s lying around they could sell off for reasonable prices. It would be like a dream come true! Can't believe they're trying to run rare downloads outta business!!! When I asked for Pocky & Rocky to be available for purchase, this isn't exactly what I had in mind lol. Natsume did some of the greatest snes games! The prices in this article are how much they went for... but have the auction winners actually paid up this huge amount yet? Stuff like this can artificially drive prices up, and I'm not a fan.